According to Russian Deputy Prime Minister Dmitry Rogozin, the Proton-M rocket crash on May 16 was caused by a long-standing flaw in the design of the engines. “There is an old constructive deficiency and it is a matter of honor to detect this deficiency,” Rogozin said on Tuesday, May 19, in TASS. He added that the accident is similar to the crash in 2014, when the exact cause of failure wasn’t determined. The deputy prime minister also noted that the other factor that led to the crash on May 16 is the low level of wages in the Russian space industry. Rogozin also noted that Russia may lose its 40 percent share of the world space launch market unless it increases work productivity. “If we fail urgently to remedy the situation with labor productivity in the space industry, the flights of domestic carrier rockets and spaceships will soon become more expensive for us than for our partners. Today we hold 40 percent of the space launch services market but we may slip far back with such indicators and finally lose the market,” he warned. 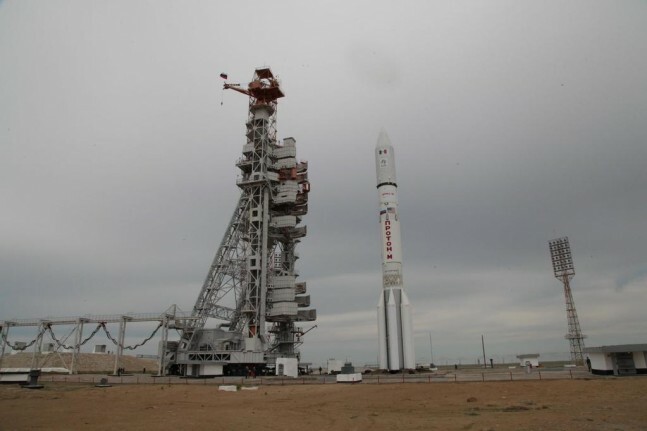 Launched from the Baikonur cosmodrome in Kazakhstan, the Proton-M carrier rocket, carrying Mexico’s Mexsat-1 satellite, malfunctioned while in flight on May 16 and burned up in the dense layers of the Earth’s atmosphere above East Siberia. An emergency situation occurred about eight-and-a-half minutes after liftoff, just before the booster was programmed to disconnect from the Briz-M upper stage. “Preliminary flight information indicates that the anomaly occurred during the operation of the third stage, approximately 490 seconds after liftoff,” said International Launch Services (ILS), the company overseeing the launch. The preliminary cause of the accident was in the steering engine on the Proton’s third stage. The accident occurred one year to the day after the last Proton launch failure, which destroyed a Russian communications satellite after an anomaly in the booster’s third stage propulsion system. Is the Deputy PM officially stating that: While they are fairly certian it occurred in on of the vernier motors, they do not know what actually caused the failure? What Dmitry said here…that basically all those hundreds of hydrazine-burning Protons were flawed since forever, and that today’s Russian rocket corps labor pool has low/no morale to match low/no wages – therefore no incentive to perform routine miracles for the Motherland … that kind of rhetoric used to be grounds for being sent to the Siberian gulags. Meanwhile, in Russia’s Far East, work on the new Vostochny cosmodrome that carries the greatest weight of Russia’s entire future in space on its shoulders along with Angara rocketry is completely FUBAR. Putin’s Russia is rapidly being downgraded to somewhere between a failed state and a corrupt criminal anarchy. The current state of affairs in its space program is Exhibit A. Low global oil prices and outside economic sanctions against Putin over that little escapade in Crimea are accelerating the collapse of the czarist Republic of Putin. It’s sad that so much of the consequences of all that affect the once great Russian space program, which affects us all collaterally. I wonder how many companies are thinking of jumping ship to SpaceX now? A space launch really isn’t cheaper any more if you are starting to have a real concern about the launch vehicle. With Rogozin’s statement, I think Proton’s launch market share is about to take a nosedive. Don’t get me wrong. I have been a long time admirer of the Soviet/Russian space industry and what they have accomplished. I even had the honor of working with Russian engineers and scientists on a space project over a decade ago. That being said, if I were responsible for securing launch services for a payload worth hundreds of millions of dollars to my employer/customer, I’d be looking for a launch provider other than Proton. Better start retooling for manufacturing reliable, Russian-made trampolines.